It's only March but are you ready for winter to go away? Are you dreaming about warm summer days sunning yourself on the beach? Yeah, I think we all are about now. So don't jump into summer unprepared! 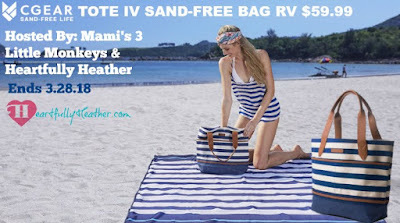 Check out CGear's sand free tote's. They are stylish and my favorite part? They are sand repellent? How many times have you left the beach with sand sticking to your bag, and then you have a whole car full of sand. I've been there and done that and it can be so annoying to clean up! How about we keep the sand at the beach? 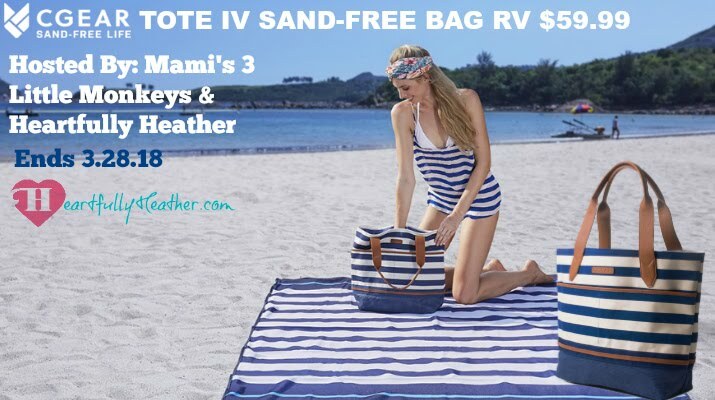 This beach bag is non-absorbant and also mold free, so if you leave a wet swimsuit inside, don't worry, you won't have anything growing inside. It comes in two sizes. The one we'll be giving away is the one featured above.